MaizeGDB provides access to expression datasets, analysis, and a variety of visualization and analysis tools developed by partners and collaborators. Click the arrows to the left of the sections below to see more information about that class of expression data. 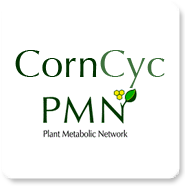 CornCyc and MaizeCyc are metabolic pathway resources developed using the Pathway Tools Software Suite in a collaboration between MaizeGDB and the Plant Metabolic Network (PMN) (CornCyc) and Gramene (MaizeCyc). 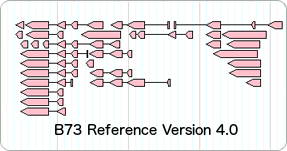 MaizeGDB curators performed literature-based manual annotation for both resources. A detailed summary of the CornCyc pipeline can be found here. Note: While CornCyc and MaizeCyc use the same Pathway Tools software, they differ in the number of pathways, enzymes, and enzymatic reactions they contain. This is due mainly to their methods of assigning enzymatic function: MaizeCyc uses sequence similarity to assign function based on Ensembl's XREF pipeline. CornCyc instead uses a consensus method based on BLAST, CatFam, and Priam assignments. As a result, MaizeCyc is a more inclusive but lower confidence set of information and CornCyc is a less inclusive, higher confidence set of information. The complementary nature of CornCyc and MaizeCyc form a robust resource for pathway viewing. The electronic Fluorescent Pictograph Browser (eFP browser) projects gene expression data onto a series of pictures (pictographs) representing the plant tissues from which the expression data was derived. The current Maize eFP browser contains expression for 60 tissues as reported by Sekhon et al 2011 mapped to B73 RefGen_v2. Each pictograph is colored by the level of expression for the gene of interest. The eFP browser can analyze a single gene across multiple plant tissues or single tissue undergoing a series of stress treatments (heat, drought, insect and pathogen infection, etc.). The eFP browser was developed by Nicholas Provart and colleagues at the Bio-Array Resource for Plant Biology at the University of Toronto. See the eFP Browser link on GRMZM2G165390 (bz1) and other gene model pages. The MapMan software suite allows the visualization of a variety of functional genomics datasets (gene expression, protein, enzyme, and metabolite levels) in the context of a large number of well characterized biochemical processes and metabolic pathways. The current installation of MapMan contains expression levels for 60 tissues as reported by Sekhon et al 2011 mapped to B73 RefGen_v2. MapMan was developed at the Max Planck Institute for Molecular Plant Physiology in Potsdam, Germany. A key strength of MapMan is its focus on plant specific processes and its capabilities for cross-species (e.g. maize vs. rice, etc.) comparisons. Additional maize-specific data and functionality for MapMan is available here. PLEXdb (PLant EXpression Database) is a gene expression resource for plants and plant pathogens that combines a large and increasing collection of curated gene expression data sets including maize. PLEXdb contains several maize array platforms, including Affymetrix and NimbleGen. PLEXdb contains a set of vivisualization and analysis tools, including the Experiment Browser and the Gene List Suite. The maize specific resources can be accessed at the MaizePLEX page. qTeller (QTL Teller), is a tool that allows users to view gene expression information within a chromosomal interval for QTL or mutant mapping. qTeller, which uses a large collection of expression data from a wide range of published experiments, also facilitates single or two gene scatter plots which are particularly useful for comparing expression patterns of closely related homologs. qTeller also allows visualization of expression information from the maize syntenic orthologs of Sorghum, Rice, Setaria, and Brachypodium. qTeller was developed by James Schnable while he was a graduate student at UC Berkeley. Below is a list of all expression tracks currently available on the MaizeGDB genome browser. You may select the tracks here, enter a feature name, then go to the genome browser to see that feature with your selected tracks displayed. Or you may go directly to the genome browser and select the tracks you wish under the 'Select Tracks' tab. Raw expression data for re-analysis is available at NCBI's SRA database. There are currently 37807 series records for Zea mays in NCBI's SRA database. You can see all SRA data for Zea mays here. BLAST your sequence against SRA datasets at NCBI. Raw expression data for re-analysis is available at NCBI's GEO database. There are currently unknown series records for Zea mays in NCBI's GEO database. You can see all GEO data for Zea mays here, including all samples and platforms as well as all series (experiments).